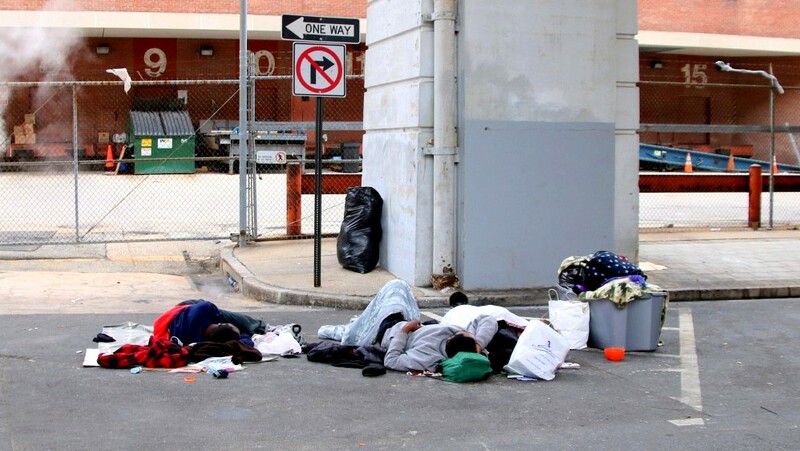 There it was at the top of an editorial in the Baltimore Sun: “Advocates estimate that on any given night some 2,600 people are sleeping on the streets,” the newspaper wrote. The advocates, if there is such a group, find this number to be both inaccurate (far too low if referring to the number of people experiencing homelessness) and not useful. Never mind that it’s too low for a one-night count – probably 30% to 40% too low, national research indicates. The real number is magnitudes higher, perhaps 30 times higher. I’ll explain why in a moment. But here’s why the use of that “2,600” is important. It permits the conclusion that the public sector doesn’t bear responsibility for homelessness and that, while the problem is costly, the private and philanthropic sectors could, with a little push, solve it. That’s precisely how Mayor Catherine Pugh used the number. Rounding up to 3,000 – and extrapolating from a $35 million project being developed by the Helping Up Mission for 300 people – she came up with a $350 million price tag for “solving” the homeless problem. It’s hard to say what inspired the mayor to make an assumption about the issue based on Helping Up Mission’s “transitional shelter” project – an anachronistic model for ending homelessness that even the federal government no longer supports. I couldn’t find such a notion anywhere in the group’s 27-page report. With winter upon us and temperatures now dropping, tents are proliferating around the city – many within blocks of City Hall. Other people are literally sleeping on downtown streets, under I-83 or in front of the Health Care for the Homeless building. What can Mayor Pugh, the Mayor’s Office of Human Services, the City Council and media pundits do? For starters, they must acknowledge the real magnitude of the problem. The true number of people experiencing homelessness each year in Baltimore is between 15,000 and 30,000. And the number of people who are inadequately housed and at risk of homelessness is at least 92,000 households. This estimate comes from the government itself – specifically from Baltimore Housing. 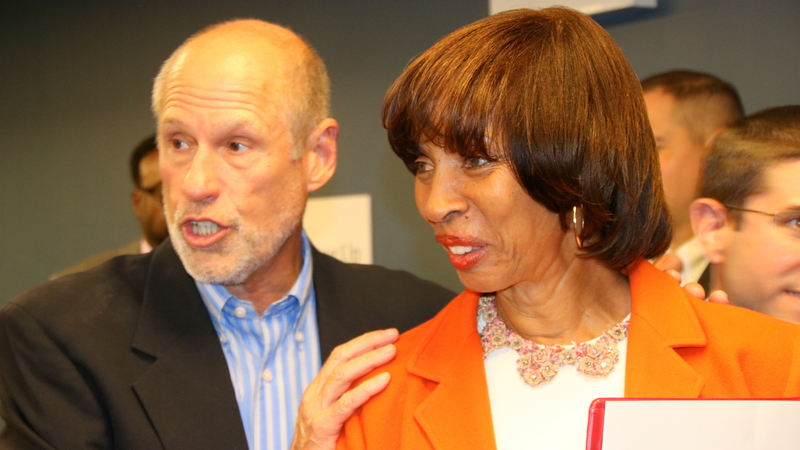 According to the agency’s “Consolidated Plan 2015-2020,” out of the 238,959 households in Baltimore, 92,186 of them – or 38.6% – are “cost-burdened,” meaning that they cannot afford their rent every month. Another gauge of the problem is evictions. These evictions result from a court system, known colloquially as “the Rent Court,” overwhelmed by landlord litigation, to the tune of 150,000 rent cases annually, the 2015 report says. The authors call on court and city officials to increase renters’ access to legal information, require better landlord documentation of rent claims, expand landlord licensing requirements, and fund eviction prevention programs. Although useful in and of themselves, these procedural reforms only underscore what is the bigger structural problem confronting one out of three Baltimore residents – the unaffordability of current market-rate housing. Jeff Singer has been working on homelessness issues in Baltimore for more than 40 years, first at the Department of Social Services and then at Health Care for the Homeless, where he was president and CEO between 1998 and 2011. He now teaches at the University of Maryland School of Social Work and can be reached at jeff.singer@ssw.umaryland.edu.